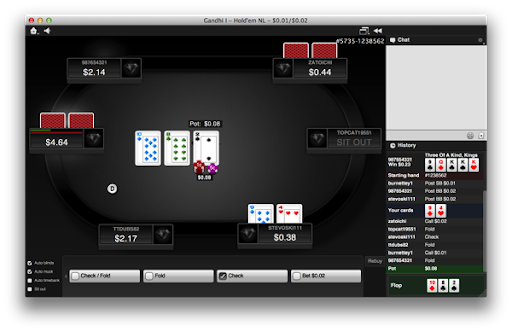 Today, I took a look at Lock Poker’s brand new native Mac software. It is rather good. And it should be possible to integrate it with Poker Copilot. However there are very few players, so it makes me wonder whether it is worth spending the time adding support for Lock Poker to Poker Copilot. If you use Lock Poker on the Mac, let us know at support@pokercopilot.com that you’d like to see Poker Copilot work with Lock. It is nice software, response, quite elegant, and it feels like Mac software. Oddly, the playing cards let it down – they are squashed, and awkward to read. Hopefully that’ll be fixed soon.